Forward-thinking network operators in Latin America and the Caribbean are using the Internet's next-generation protocol, called IPv6, to gain a business edge over their competitors. The upside for customers is better quality of service, and in the long term a more future-proof regional Internet. Since World IPv6 Launch on June 6, 2012, several major websites such as Google, YouTube, Netflix, and Facebook have started rolling out IPv6. Today, the message to ISPs is clear: don't wait for other competitors to switchover to IPv6, and don't wait until your clients switchover to your competitors. "The old protocol, IPv4, doesn't give the Internet any no room to grow, so in the near future, new clients and devices will need to connect using IPv6. Internet penetration is increasing worldwide, and more and more types of devices are connected. Internet providers need to take the IPv6 transition process very seriously in order to meet this growing demand in a satisfactory way," said Alfredo Verderosa, Manager of Services at the Latin American and Caribbean Internet Address Registry (LACNIC), a non-governmental organisation based in Uruguay. In the last months, IPv6 penetration among Internet users has grown in markets such as Guatemala, where about seven per cent of people using the Internet now have access to the new protocol. Verderosa expects that IPv6 transition will soon have a very positive impact on Guatemala's Internet landscape. "Although the numbers aren't huge, they are still relatively good, since many countries' adoption rate is actually closer to zero per cent," he said. While Guatemala's IPv6 deployment is not high in absolute terms, it remains among the top in the region, alongside others like Ecuador, Brazil, Peru, and Trinidad and Tobago. 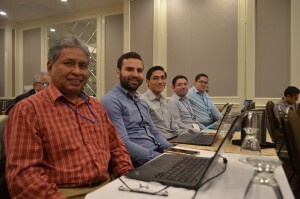 For Guillermo Cicileo, Coordinator of Security, Stability and Resilience at LACNIC, the key takeaway is that there is at least one operator providing IPv6 to Internet users in Guatemala, and others operators won't be too far behind. "It's important for ISPs to start the switchover soon, because failure to deploy IPv6 puts them at a serious disadvantage compared to those who have," Cicileo said. "LACNIC also provides basic and advanced IPv6 training in-person and through its online campus. Our IPv6 Portal IPv6 is a great place for operators seeking free downloadable resources or more information about IPv6," said Cesar Diaz, Head of Strategic Relations and Telecommunications at LACNIC.